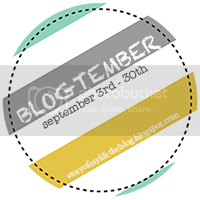 Firstly - I can't believe I missed two days of Blogtember. I had every intention of blogging everyday. but sometimes life takes over, and I have been getting really tired. Yesterday, I was in bed, asleep, at 9.15pm! I think that's the earliest I've gone to bed in a long, long time! In my life, I don't usually dwell on the mistakes I make. I accept them, learn from them, and try to become a better person because of them. But sometimes, there are mistakes that I make that I do regret, because I end up hurting people in the process. And whether intentional or not, this is not a good feeling! For today's post, I'm going to go back 6 years to my penultimate year at uni. I was just coming out of a really tricky time in my life, and trying to re-discover who I was. Something had happened - a recent argument - between a uni friend and me, and it was really niggling away at me. I had arranged to meet up with another friend at uni for a night out at the SU, but deep down I knew this probably wasn't the best idea. I was still a bit down in the dumps, wasn't feeling myself, and didn't want there to be any tension for what was meant to be a good night out. I ended up cancelling on my friend.....But then went to the SU anyway! It is probably the dumbest mistake I could make. I really ended up hurting somebody's feelings, to the point where we couldn't be friends any more, and all because I let something get to me, tried to change circumstances to make things better, then went and betrayed a trust. It wasn't done intentionally - to be honest, I can't even remember how I ended up going out - but to this day I still wish I could go back and change the way I handled things. I could've just arranged a girly night in instead! If you're going through a mind scramble and you are in a bit of a funk, don't mess your friends around. And if you are reading this and are the person that I hurt, I really am very sorry. It wasn't my intention, and believe me, it's something I wish that I could rectify.